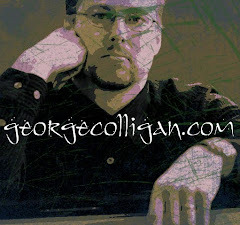 I consider myself mostly self-taught as a jazz pianist. I will admit that I had one month's worth of lessons in 2nd grade, and I did study trumpet from 4th grade through college, and I did take Class Piano in high school, and I did study a bit with Fred Karpoff when I was at Peabody. But in terms of putting together the basics of jazz piano, I did much of it on my own. Truth be told, I would ask older players about voicings, or licks, or recordings, and then try to figure it out at home. Initially, my home made piano style consisted of playing trumpet licks in my right hand and snare drum ideas in the left hand, since those were the instruments I had previously played. Plus I had listened to a few key recordings, and I suppose I had absorbed a certain "jazz feeling" that translated to my comping on the piano. Also, I had played trumpet along with many of the Aebersold Play-Along recordings, so much that the comping of players like Kenny Barron and Cedar Walton were really in my ears. But in terms of regular jazz piano lessons for a long period... never. 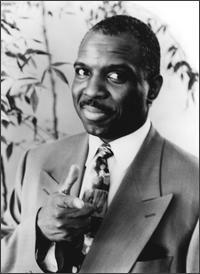 However, I do have fond memories of two lessons I took in the early 1990's with the great pianist James Williams. If you aren't familiar with Williams, you need to be. Williams is probably best known for his tenure with the great Art Blakey, as well as having worked as a sideman with many other jazz greats, such as Tom Harrell, and Dizzy Gillespie. He also recorded a good number of solo albums. He was one of the founding members of the Contemporary Piano Ensemble (which also featured Mulgrew Miller, Geoffrey Keezer, and Harold Mabern, and sometimes also Donald Brown.) He was the Director of Jazz Studies at William Paterson University for 5 years, until his tragic and untimely death from liver cancer in 2004. Williams was a prolific composer, and his tunes are oftentimes played by others; gems such as "The Soulful Mr. Timmons," "Alter Ego", and "Arioso" are amongst William's works that have been covered by others. I had met pianist Geoffrey Keezer at Bradley's in New York, who was good friends with Williams, and he gave me Williams' info in order to hook up some lessons. At that time, I was still living in Washington, D.C., so I would drive my 1984 Chevy Celebrity up to New York. (I remember it was a blinding rainstorm when I drove up for my first lesson. I was terrified driving across the Manhattan Bridge in a torrential downpour . Are they ever going to repair that bridge? C'mon, Bloomberg....) After getting lost in Brooklyn for a while, I found Williams' apartment. I was impressed with Williams' record collection. Remember, this was in the early 90's, so Ipods were not even an idea! It seemed as though his entire living room was filled with recordings. He turned me on to the great R&B singer Donny Hathaway. He also played me some music of saxophonist Frank Strozier, who I was unfamiliar with. 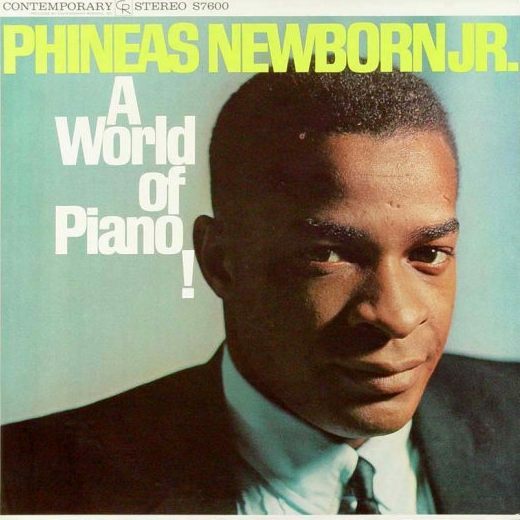 We listened to some Phineas Newborn, who I had just discovered through Geoffrey Keezer. 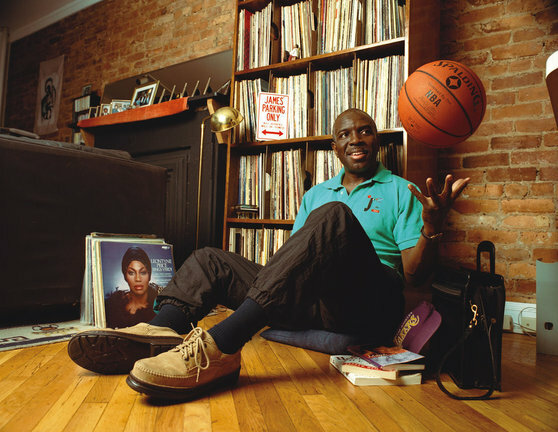 I remember thinking, "Wow, I know nothing about jazz....."
But I also remember the next time I spoke to James Williams on the phone. "Hey, I think you overpaid me for the lesson. I want to give you some money back....". "Uh, well.....why don't we just put it towards the next lesson?" I asked. " He agreed. I was really touched by his benevolence. I would bump into James many times over about a decade. I was really shocked the last time I saw him before he died. He had lost a lot of weight. I didn't know it was so serious. We were both playing on a concert with three different bass players: Richard Davis, Eddie Gomez, and Buster Williams. I remember we were talking in the dressing room before the show, and there was a small upright piano in the room. Williams sat down and played some beautiful ballads. I got this sinking feeling that maybe he sort of knew he didn't have much time left. I attended Williams' memorial service at St. Peter's Church on 54th and Lex. Like many of the events at this church, it was a veritable who's who of jazz. Williams had made a lot of friends in the community. I was almost moved to tears when pianist Mulgrew Miller gave a wonderful speech about how when he had moved to Memphis, he was asked to do a gig, but he didn't have a Fender Rhodes. Williams barely knew Miller, but offered Miller his own Rhodes, even though Williams had a gig that same night. It struck me how selfless Williams was, to give up his own instrument to someone else. That kind of magnanimity is rare. If you are interested in hearing some of Williams' playing, you can go here to CD Baby, or go to Itunes: sadly, there is only one CD called Alter Ego, but it's a great CD with an all star lineup of saxophonists Billy Pierce, Bill Easley, bassist Ray Drummond, and the late drummer Tony Reedus. It features many of Williams' classic tunes. thank you for this wonderful post! i discovered james' playing through one of my fave greg osby albums, art forum. and i have to ask, what was that hip minor-11th voicing that you still use to this day? I first heard Williams on Art Farmer's Billy Strayhorn tribute record Something to Live For. Williams' shimmering, cascading lines are the first thing you hear on that record. A truly unforgettable musical message. Thanks for a nice tribute. Great tribute, George. James used to come up to UNH with his trio or to play with Clark Terry. He was so generous with his advice and time. A truly great musician and man. 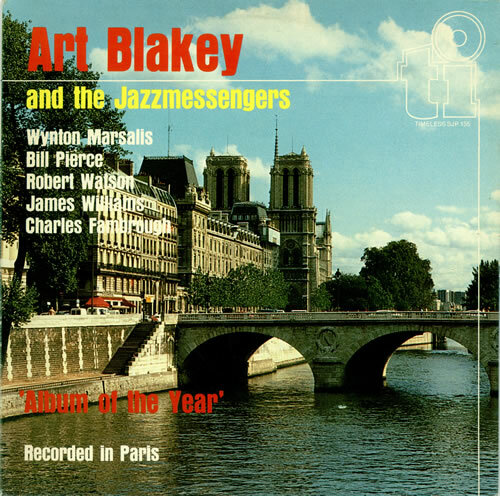 Just been listening again to Art Farmer Blame It On My Youth. Companion recording to the Strayhorn recording namechecked above by Anon. You all need to check out this brilliant album especially for James Williams. Alter Ego is a wonderful album also and mentioned by George in his piece. I totally relate to any single detail of your post George. We've been in touch quite often since then. I can say he is one of my strongest influence as a piano player, and he's responsible for many of my musical choices; as a matter of fact he introduced me to Miles Griffith, with whom I shared the bandstand for the last ten years, with three cds under our name. I came to St.Peter's for his memorial as well. I miss not only a friend and a mentor, but one of the most original, exciting and creative voices of the jazz scene. And a wonderful person. I like to play and record JW's music as much as I can, I recently did it with Alter Ego on a piano duet with Larry Willis for Mapleshade records, with Arioso (Take Flight And Be Free) where Miles Griffith put lyrics to it, and with Willpower (The Struggle Never Dies) with Miles' lyrics as well. Thank you so much for your great post (and GREAT blog! ), and for the opportunity to remember James, who's certainly making joyful noises up there! God bless his soul. Hey, congrats on your fantastic work on the 88's George! I miss my friend. As I type this I'm looking at a photo of James and me with Horace Silver that he insisted that send him a copy. I'll never forget him standing patiently in line to get Oscar Peterson to sign a copy of his autobiograpy at a IAJE conference in Toronto. No jumping the line for him. I'll always have the performances at Twins to remember and the recordings to play on my show as long as I'm on the air. Thank you for this great remembrance of James Williams and I'll join Tony Pancella in congratulating you for what your doing on the piano. A fine post about a wonderful talent who is, sadly, little known these days. If you can find it, check out the Sunnyside recording "Progress Report." It features several Williams originals that made their way into the Art Farmer/Clifford Jordan book. Now that was a top flight ensemble! I remember he showed me a really slick voicing for minor 11 chords, which I still use today. 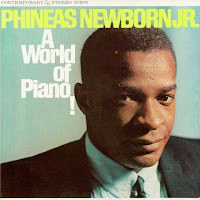 One of the hippest things Williams' said to me was regarding solo piano playing:" You don't have to play the whole time. You can play as if there is a bassist and drummer. The diminutive aircraft measured 14 ft 10 in (4.52 m) long; the folding wings spanned 21 ft (6.4 m).